Vasthi Calvachi, director of Glendora Children’s Center in California, started a weekly yoga program for all the teachers and their classrooms. Vasthi wanted to introduce yoga in her program long before participating in the National Early Care and Education Learning Collaborative (ECELC) program in 2016. She read about the benefits of yoga for children and was determined to include it as a physical activity, however, she did not have the resources or support she needed from her staff. Adriana, her ECELC trainer, helped Vasthi talk with her teachers about the benefits of yoga and connected the center with a local yoga studio to receive yoga mat donations. Although there was resistance in the beginning, the teachers are currently on board and love doing yoga with the kids. In addition to incorporating yoga, the center currently has an updated wellness policy that includes healthy celebrations, which encourages parents to bring in healthy snacks or books instead of sweets. They have also incorporated weekly nutrition education lessons into their curriculum. 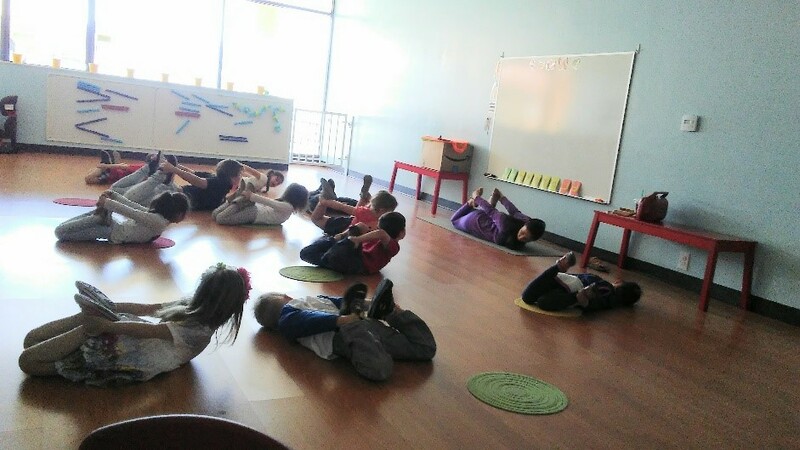 Yoga was introduced school-wide at Temple Beit HaYam Early Childhood Learning Center in Florida. Teachers and students visit the social hall and participate in yoga together as a class. Yoga allows adult and children to stretch both their minds and their bodies. It is a safe, low-impact activity that fits well into early childhood–-plus, you can do it anywhere. Children need to have active times every day to use up energy, learn new things and be healthy. Luckily, active play can happen indoors as well as outdoors. Try the indoor activities in this article to get your kids to use large muscles and burn energy.